.. develop national scale spreadsheet files with virtually no learning time .. easy-to-use API operations to create national scope demographic-economic datasets based on American Community Survey 2016 1-year estimates .. custom subject matter selections. See more detail in related web sections ACS2016 and ACS2016_API. 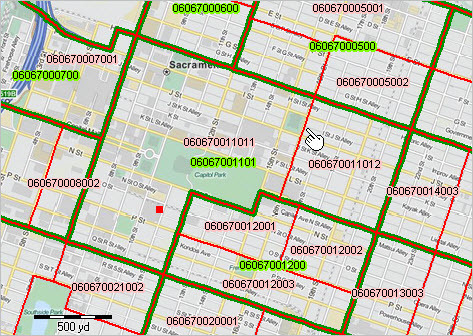 Benefits and utility … how to acquire a spreadsheet showing the population of all cities with population estimates based on the ACS 2016 1-year data? … or, housing units, median household income, median housing value, etc.? Variations of this need frequently arise — what is the list of largest California counties sorted on total population: What are the 25 metros having the highest median household income? Which 10 congressional districts have the highest poverty incidence? Which urban areas have the highest educational attainment? … results from using the API downloaded data … the following graphic shows urban areas with 65,000 or more 2016 population; zoom-in to Texas. The full national scope GIS project is available as described below; examine U.S. or any region. 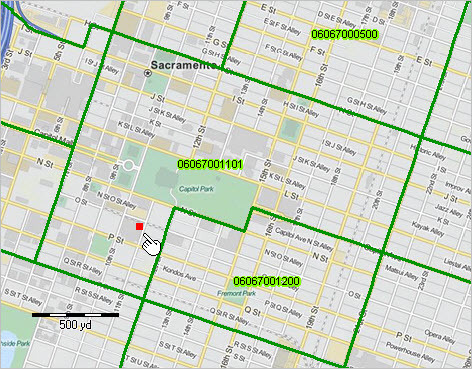 The file used to develop this view was created using the results of the API call reviewed below (requires integration of those data into the urban areas shapefile). Click graphic for larger view; expand browser window. Larger view shows urban areas labeled with name and mini profile for Dallas UA showing all subject matter items downloaded (via API) as described below. … View developed using CV XE GIS. … See more about Urban Population & Urban Areas. Here are the API links … use these API calls to access/download selected items for selected geographies. See more about using API tools. Click a link and receive a return page with CSV-like structured data. See usage notes below. As these are ACS 2016 1 year estimates; geographies are only available for areas 65,000+ population. The following data retrieval operations are by state. These are examples using Arizona (FIPS state code 04). Clicking the All U.S. cities/places link above generates a new page with content very much like a CSV file. Try it .. click an above link. See the related ACS2016_API web section for more details. The sample header record above shows the subject matter item listed at the left in the following set of items. Modify API call and use other subject matter items. See full array of subject matter – xlsx file. 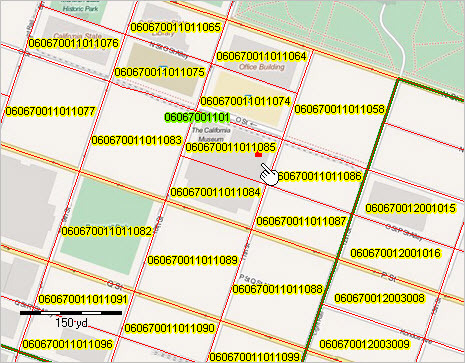 The rightmost fields/columns in the rows/records contain the area name and geographic codes. .. tools and resources to examine the demographic-economic state of the states .. in 2016, the U.S. median housing value was $205,000 while states ranged from $113,900 (Mississippi) to $592,000 (Hawaii). See item/column H089 in the interactive table to view, rank, compare, analyze state based on this measure … in context of related housing characteristics. These data uniquely provide insights into many of the most important housing characteristics. Use new tools, data and methods to access, integrate and analyze demographic-economic conditions for the U.S. and states. These data will update in September 2018. 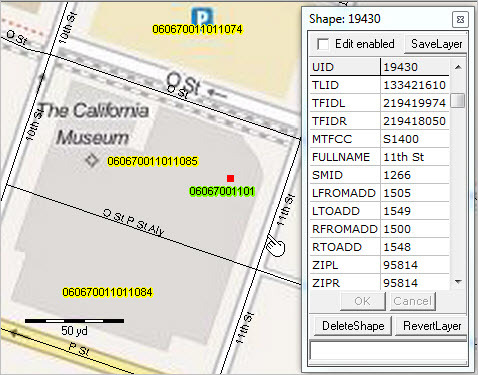 Use data extracted from these tables in a ready-to-use GIS project. These ACS sourced data (from the four tables listed above) have been integrated with population estimates trend data, components of change and personal income quarterly trend data. See details in this section. Below are four thematic pattern maps extracted from the main sections listed above. Click a map graphic for a larger view. 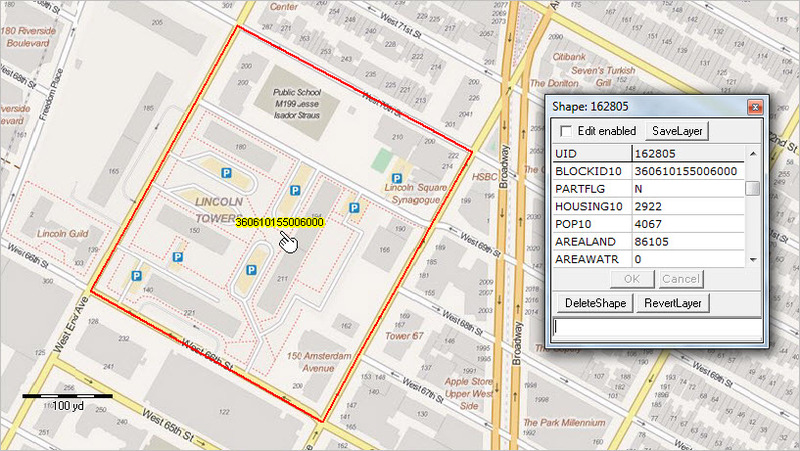 Use the GIS project to create variations of these views. Yellow label shows the state USPS abbreviation; white label shows median age. Legend shows color patterns associated with percent population change 2010-2016. – See item/column D017 in the interactive table to view, rank, compare, analyze state based on median age. Yellow label shows the state USPS abbreviation; white label shows % college graduates. Legend shows color patterns associated with percent population change 2010-2016. – See item/column S067 in the interactive table to view, rank, compare, analyze state based on percent college graduates. Yellow label shows the state USPS abbreviation; white label shows $MHI. Legend shows color patterns associated with percent population change 2010-2016. – See item/column E062 in the interactive table to view, rank, compare, analyze state based on median household income. Yellow label shows the state USPS abbreviation; white label shows $MHV. Legend shows color patterns associated with percent population change 2010-2016. – See item/column H089 in the interactive table to view, rank, compare, analyze state based on median housing value. .. while school district enrollment is reported by school districts, only public school enrollment is reported. Public and private school enrollment are available by district from the American Community Survey (ACS 2015). With few exceptions, school districts do not report on demographic-economic characteristics of the school district. These data are only available from ACS. See the related interactive table to access and compare enrollment characteristics of school districts of interest. In 2015, there were 1,016 school districts with total population of 65,000 or more (of total 14,650) for which “1-year estimates” were tabulated. These estimates are based on respondent data for calendar year 2015. This section summarizes selected enrollment characteristics of the largest districts and provides access to much more detail for each of these districts. The following graphic shows the largest 10 school districts based on the size of the 2015 school age population ages 5-to-17. Click graphic for larger view. The following graphic shows locations of the largest school districts as red markers. Click graphic for larger view that opens in a new window. Expand browser window for bets quality view. The larger view shows school district locations on context of metropolitan statistical areas (MSAs). view created using CV XE GIS software and related GIS project. ACS 2015 data are tabulated for 14,650 school districts (among many other wide-ranging geography). The following table shows the number of districts for which 1-year estimates and 5-year estimates are tabulated. There are 1,016 districts for which 1-year estimates were tabulated. These data show enrollment of residents of the district whether enrolled in that district or otherwise. Enrollment data are provided for preschool, K-12 and college and not enrolled. The following graphic illustrates use of the interactive table (click that link to use the table) showing enrollment in kindergarten by school district ranked in descending order. Using the table, you can select total, public or private enrollment for selected grade ranges. .. data and tools to analyze children’s demographics by school district .. the ACS 2014 median household income for the Houston ISD, TX (HISD) was $46,069 (all households) compared to $41,896 (grade relevant children’s households). How does economic prosperity (or choose from many other attributes) vary between the total population of an area and to those of total children or grade relevant children by type of enrollment in districts of interest? See related Web section with interactive table. This section summarizes data and tools to access to the children’s demographic-economic data, based on the 2014 American Community Survey (ACS 2014) school district special tabulation (SDST), for each/all school districts. These data provide insights into the population, social, economic and housing characteristics of total children and grade relevant children — in contrast to the total population and housing. Use the interactive table below to view, rank, compare, query children’s characteristics. The following thematic map shows patterns of median household income for grade relevant children households by school district for Texas and adjacent states. Click graphic for larger view (shows metros). Expand browser to full extent for best quality view. View developed using CV XE GIS software and associated GIS project. The annually updated SDST data are a unique source of data to help stakeholders understand demographic-economic characteristics of total children as well as grade relevant children. The real power of these data is that they enable analysis of children’s living characteristics by type of enrollment (enrolled in public school, enrolled in private school, not enrolled) by school district. For example, in this Houston ISD, TX profile it can be determined that of those grade relevant children who ‘speak English less than “very well”. How does Houston ISD compare to Dallas ISD? … to Los Angeles Unified? … use these data to find out. Whether ability to speak English, or other living/demographic environmental characteristics, these are among the factors that can primarily influence educational outcomes. The total number of households compared to the number of households with grade relevant children is often in the range of 3-to-4 to 1. The following table shows illustrative examples for selected districts. The following graphic illustrates use of the interactive table to rank districts by total relevant children and views percentage distributions by type of enrollment. Note that among the largest 10 districts, Las Vegas (Clark County, NV) has the largest percent not enrolled (12.x% — far right column). Use the full interactive table to compare contrast district based on your criteria.